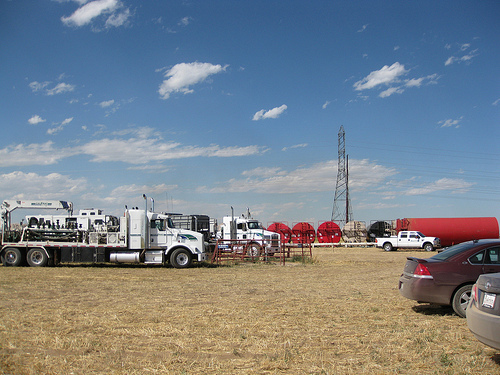 Boulder County has a moratorium on processing permits for oil & gas activity, and a public hearing is planned for Thursday, March 1 at 4 p.m. at the Boulder County Courthouse. Sign up at 3:30 p.m. To check for any changes, go to http://www.bouldercounty.org/government/pages/hearings.aspx . In the interest of covering all aspects of this complex issue, minimizing overlap, minimizing the glazing over of commissioners’ eyes, we will meet to prepare and organize testimony. We need speakers, researchers, and bodies to lend their names so we can pool time for the speakers. speaking to the threats: air, water, soil, health, economy (jobs, mortgages, local revenues, local costs, surface-owners’ rights), quality of life, etc. Please pick a topic of interest to you and REPLY : adjutrix@fastmail.us . Nancy Hall will send resource materials to you to help you get started. Fri, February 24, 7:30 PM, Boulder Democrats HQ, 1725 B Walnut St., Boulder See http://bocodems.org/ for calendar. Sun, February 26, 2:00-3:30 PM, Trail Ridge Middle School Auditorium, Longmont See http://longmontroar.org/local-issues-2/the-truth-about-fracking/ for details. Please pass the word! Great opportunity to learn about fracking.